Every day we having more and more warm at Minakami. 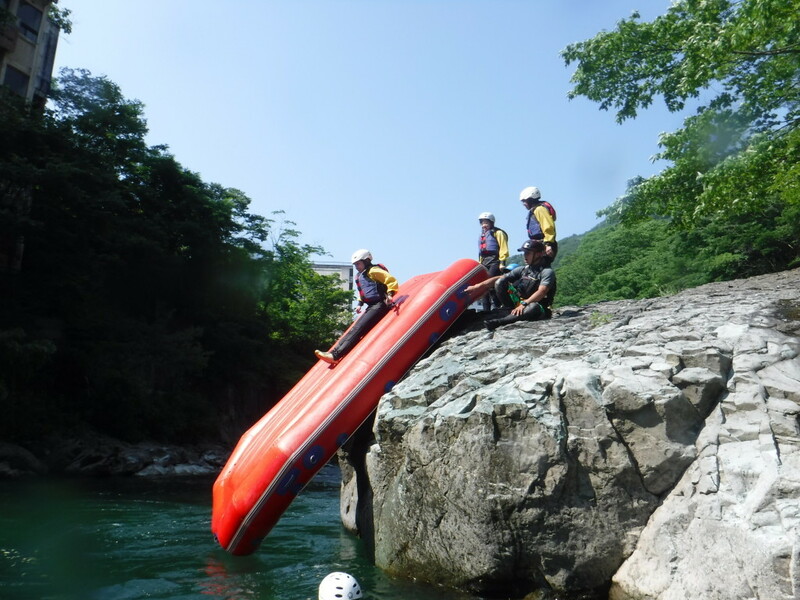 We are so happy with warm summer, by this summer we enjoying lots in the rafting adventure. It was extremely good feeling when we play in river different way. Today we did slide by boat as you can see in the picture. Please look at the picture and feel how amazing this is and comment us, anything you would to say. And same time you can see other picture with great wave. This is how we spend our day with lovely and friendly guests!!!! !